RYTMO is a popular choice within our INTRO range and it’s easy to see why; the design is both eye-catching and timeless. 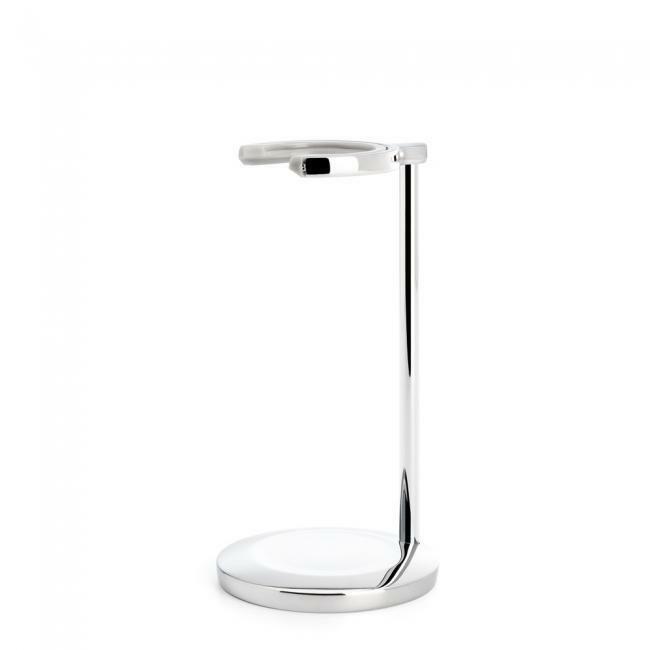 With a classic conical form, interrupted by distinctive lines at the chrome plated top and base it is like a measured musical composition. Made from high-grade resin, this RYTMO brush delivers on both durability and beauty. 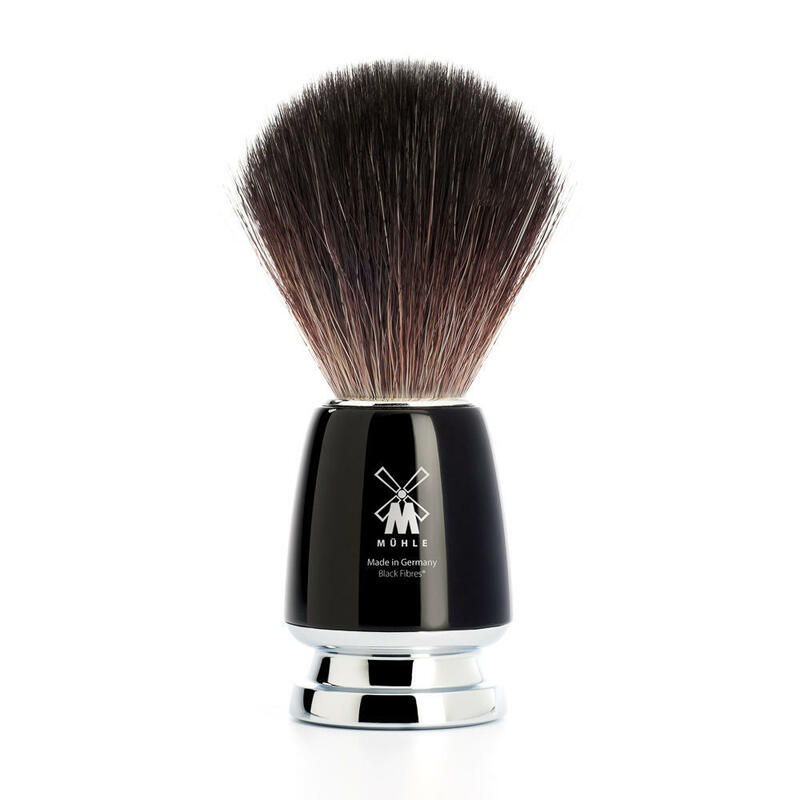 Presented in classic black with chrome metal highlights, the process of creating this shaving brush begins with each handle being turned out of solid resin rods. All individual pieces are then polished in several passes, giving the surface its characteristic gleam and securing its beauty for many years to come. Somewhat softer than natural hair, the synthetic Black Fibre offers a fantastic vegan alternative to Pure Badger. Closely replicating the quality of Pure Badger, a Black Fibre bundle offers a somewhat more durable and lower maintenance brush. 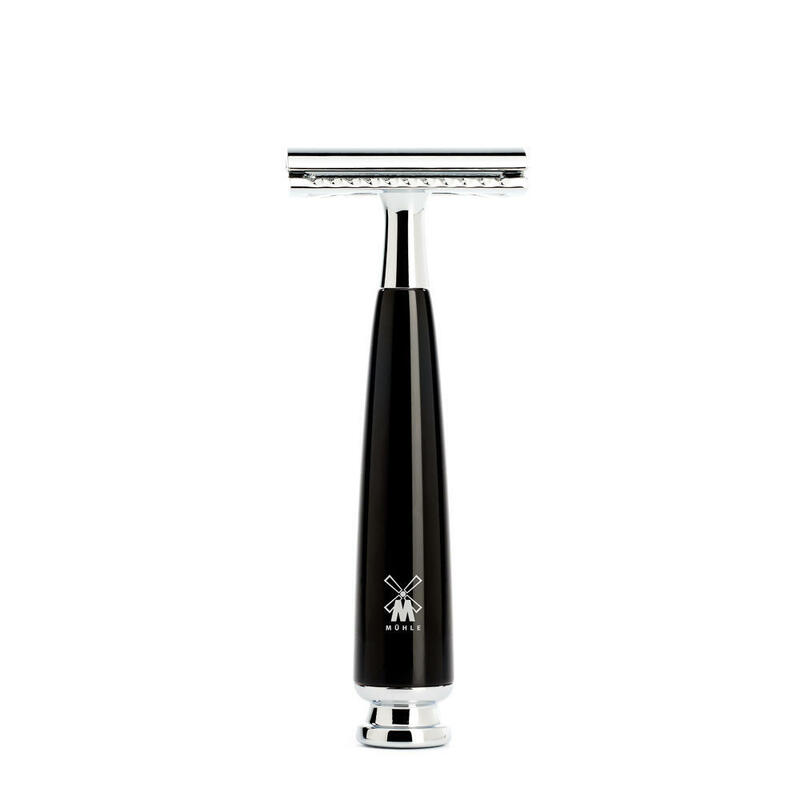 Still producing a particularly creamy shaving lather, Black Fibre is manufactured mechanically according to the same high standards applied to all MÜHLE products.